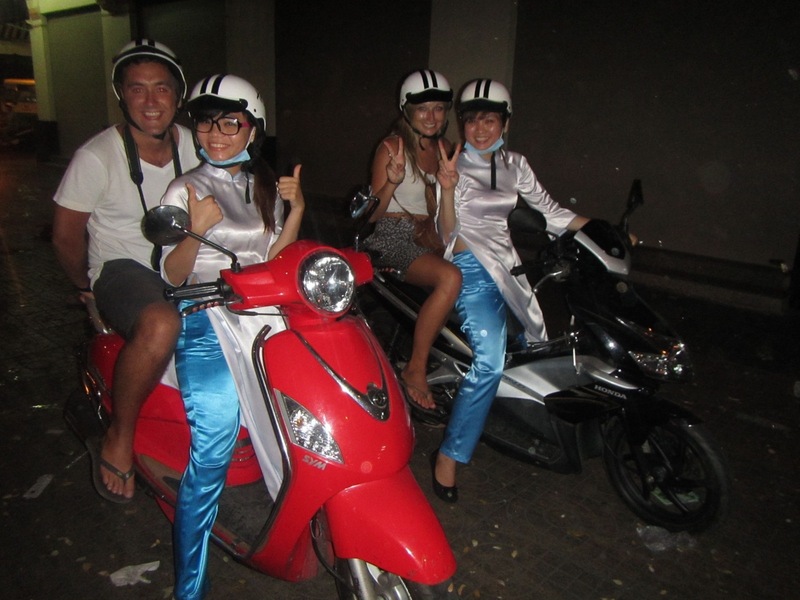 At 6pm we wandered downstairs from our Hostel to be greeted by our 2 tour guides kitted out in traditional Vietnamese dress waiting by their mopeds ready to speed us through the city to the first stop on our foodie tour of Saigon. We blew the budget for this one spending $59 dollars each but it was the amazing TripAdvisor reviews which convinced us and we weren’t disappointed. 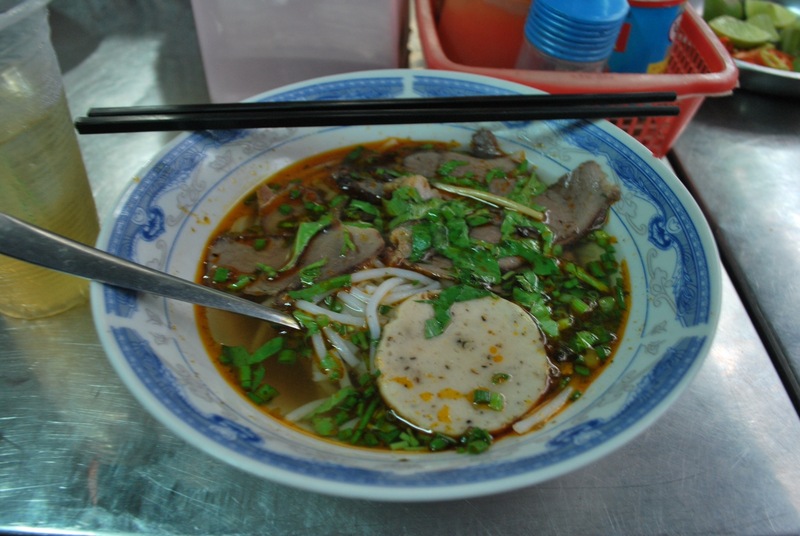 First off was a beef noodle soup style dish called Bun Bo Hue while we got acquainted with the other people on our tour. 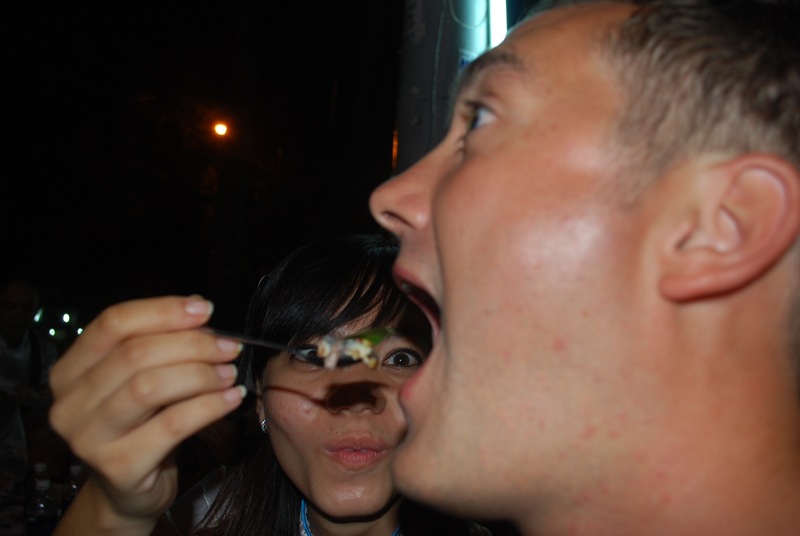 After that there were 5 more stops in different districts, some eating and some just sight seeing. That was one of the best things about the evening as most tourists only get to see district 1 in the centre of Siagon but we visited 6 ranging from the busy hustle and bustle of china town to the decadent high rises of the rich. 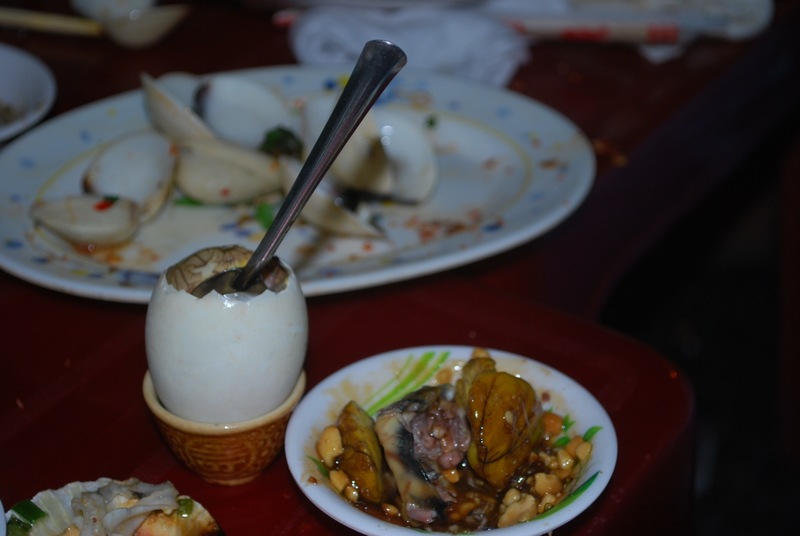 There were a few more adventurous dishes such as whole frog (not just the legs) but the weirdest by far has to be the duck egg with a 15 day old embryo inside it. So it’s basically just on its way to becoming a fully fledged member of the duckling community. When in Rome! The embryo is surrounded by a liquid so you start off by cracking the top of the egg and drinking the fluid. Then it’s just a case of grabbing a spoon and going at it like a hard boiled egg. To our credit Debs and I were the only ones out of a group of 15 to try it as most of the other people just looked on in horror. 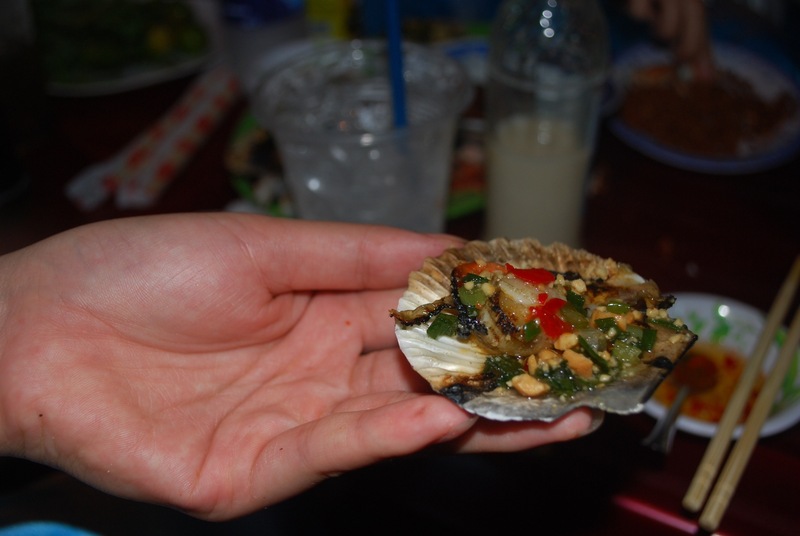 It didn’t really have a strong taste to report but we did cover it in chilli and mint! 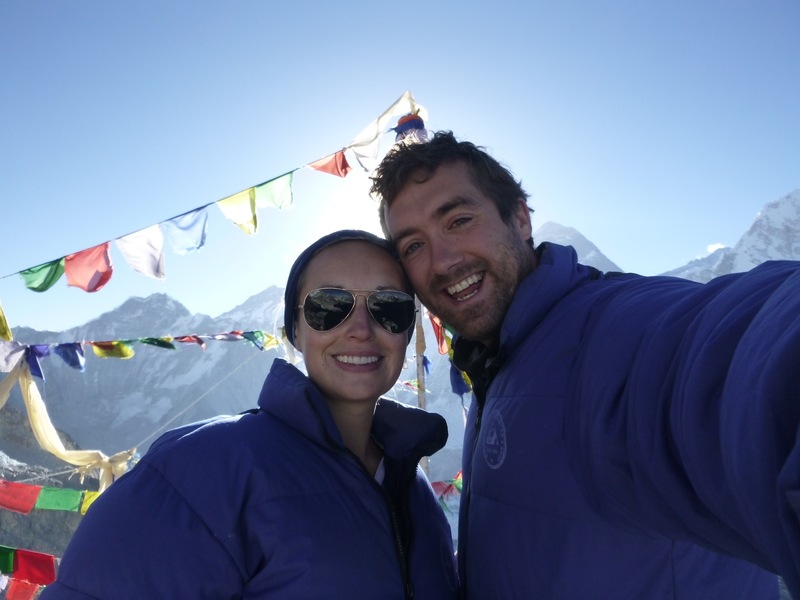 Overall we had a great night and our guides were really nice. By the end we were singing away on our mopeds as we cruised through the streets. Not the cheapest thing we’ve done but definitely something we’ll remember for a long time to come.